ANURCET-2015 Syllabus for All Courses Now Available and you can download them from here. 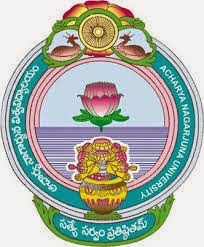 www.anuupdates.co.in provides all the Nagarjuna Updates like notifications, timetables, syllabus, previous question papers, results ext... for all updates follow us on Facebook. Note: All the Renaming courses syllabus is updates soon........If any thing is missing please ask as comment feel free to comment.